Looking for a great restaurant with private dining options? You’ve found the perfect place! 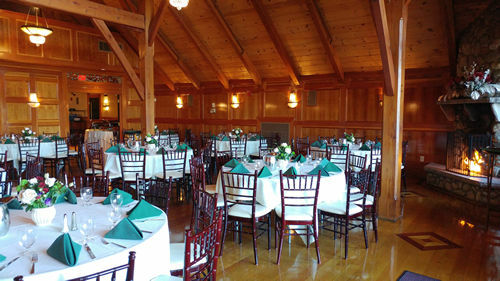 For family gatherings or corporate events, Tewksbury Country Club offers great food in a private setting for groups from 12 to 40 for a full service, sit down dinner and up to 100 for cocktail receptions. Several beautiful rooms are available, all with fireplaces, WiFi connections and customizable floor plans to meet your needs. Great food, seasonally inspired, prepared by our chefs and served by our experienced staff in our warm and inviting private dining rooms and banquet facilities. WINTER DATES ARE BOOKING FAST, SO PLEASE CALL NOW! Our event planners will be happy to work with you to create a custom menu to suit your needs, accommodate any dietary requirements, and to discuss all the details of your event. You may prefer the Cypress Room which accommodates up to 100 guests. Located on the second floor, the Cypress Room offers a beautiful fieldstone fireplace, a full service bar, picturesque views and a balcony overlooking the grounds. Located on the main level, Andrea’s offers a lovely private space, with a fieldstone fireplace, a full service bar and warm wood detailing for gatherings of up to 100 guests. Call or email and we will help you with all the details. If you wish, we will arrange a private tour of our Banquet Rooms. 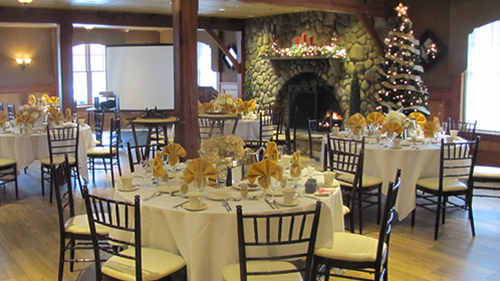 Just call one of our Event Managers at 978-640-0033 extension 113.